Drill and Tap Set with sizes ranging from M3 to M12, these are the perfect choice to create fixing points for brackets and glass clamps on balustrade systems. 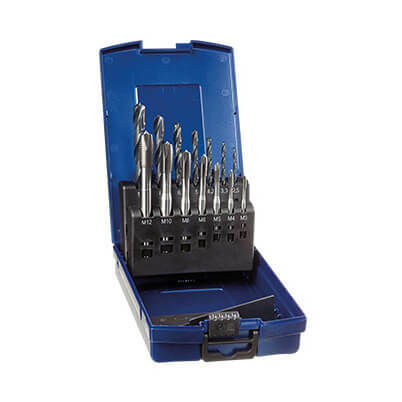 14 piece set for drilling holes and thread tapping into stainless steel. 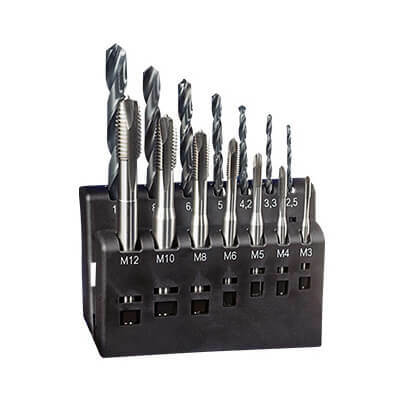 These robust drill bits and tap pieces are suitable for use with power tools. Ideal for any project involving the use of stainless steel. Complete with carry case to keep safe and organised.